When it comes to important holidays in Italy, Pasqua, or Easter, is only second to Christmas. Naturally, both festivities involve sweets – and lots of them! During Christmas time, Italian enjoy the famous panettone, a fluffy dome-shaped bread studded with candied fruit. 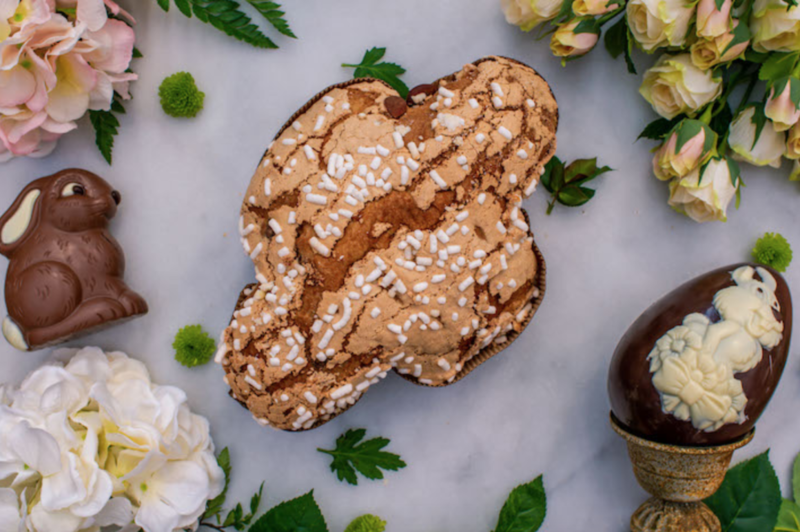 However, during Easter, Colomba takes the cake – literally. So, what's the difference between colomba and panettone, you ask? Let's take a closer look. In Italian, panettone literally means "big bread." It's shaped like a rounded dome and is the most popular Christmas dessert in Italy. To make it, bakers mix together flour, eggs, butter, and natural yeast, letting the dough rise for about 30 hours or more. Traditionally, raisins, candied oranges, and citrus zest are then mixed into the dough before it is placed into a round mold and baked. Each cake puffs up like a dome and is hung upside down to cool so as not to collapse on itself. A close relative to its Christmas cousin, colomba is enjoyed for Easter. It's shaped like a dove bird, hence the name colomba, which translated to "dove" in Italian. 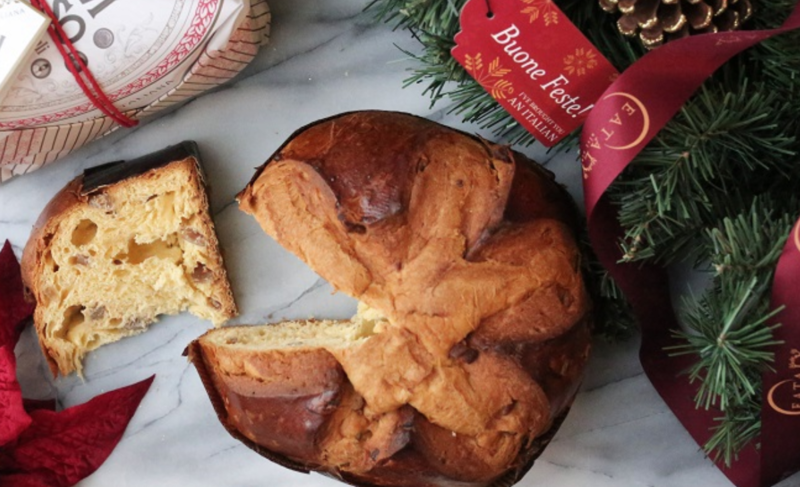 Similar to panettone, the dough is comprised of flour, fresh eggs, butter, and natural yeast. However, unlike panettone, this sweet cake doesn't have any raisins but instead is studded with candied orange peel. After the dough is placed into a dove-shaped mold, it is finally topped with pearl sugar and almonds and baked to perfection.